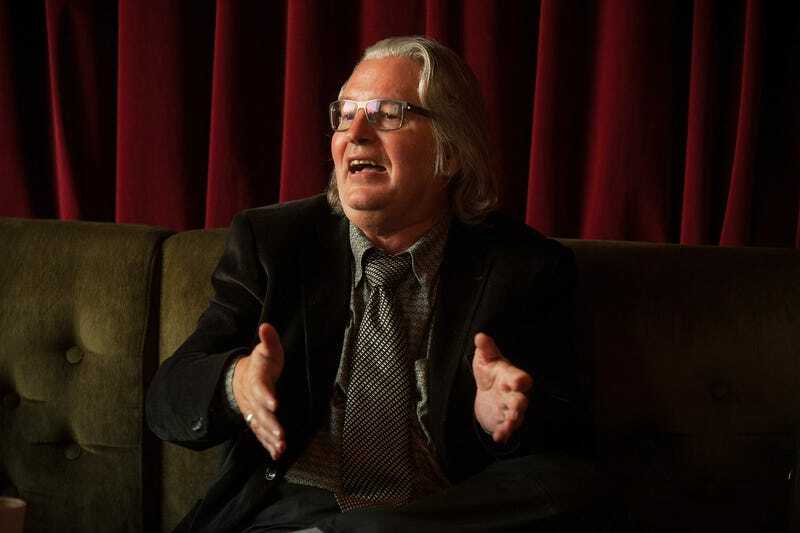 In 1993, sci-fi author Bruce Sterling testified in front of a House subcommittee about the future of the internet — specifically, what “the Net” would look like in 2015. Sterling was testifying about funding for the National Research and Education Network (NREN) which was a program to complement the backbone network overseen by the National Science Foundation, NSFNet. The program was implemented to support faster internet communication between universities and research institutions. But Sterling’s wasn’t your typical testimony in front of Congress. He adopted the role of time traveler, playing Mr. Bob Smith, a network administrator from the futuristic world of 2015. And would you look at that — it’s 2015 this very year! Sterling, as Smith, told lawmakers that in order to imagine life in 2015, you’d have to image that “living without the Net would be like trying to live without electricity.” Which was, of course, spot on. His other predictions about encryption, the FBI, and the fears about crime and terrorist activity online also ring true, even if the details give the whole thing a naturally antiquated tinge from our perspective here in the 21st century. But that’s half the fun of looking back at old predictions. Nobody gets it 100 percent right. Thank you, Mr. Sterling. It’s a remarkable privilege to talk to the legislators who historically created my working environment. As a laborer in the fields of 21st-century cyberspace, I of course would have no job without NREN. My wife and small son and I are all properly grateful for your foresight in establishing the information superhighway. Your actions in this regard have affected American society every bit as strongly as did the telegraph, the railroads, the telephone, the highway system, and television. In fact, it’s impossible for me to imagine contemporary life in 2015 without the global Net; living without the Net would be like trying to live without electricity. However, it’s a truism in technological development that no silver lining comes without its cloud. Today, I’d like to mention two or three trifling problems that were not entirely obvious from the perspective of the early 1990s. First, a word about this “research and education” issue. Because communications is power in an information society, giving fantastically advanced communications to the research and education communities did in fact empower those communities quite drastically by comparison with interest groups lacking that advantage. Today, one of the most feared political organizations in the world is the multi-national anarchist libertarian group called the Students for an Utterly Free Society. Of course, there have always been campus radicals, but thanks to their relative lack of financial clout, and lack of even a steady home address, these young fanatics once found it very difficult to organize politically. Therefore, they were easy for the powers-that-be to ignore, except during occasional spasms of violent campus unrest. Thanks to NREN, however, spasms of student unrest can now spread like lightning across entire continents. Advanced Artificial Intelligence (AI) translation programs installed on the Net only made matters worse, because in 2015 the global leaders of the student movements are not only extremely radical, but French. Attempts by campus authorities to control this unrest have failed miserably. In 2015, NREN sites are always the first buildings occupied during a campus strike. Campus chancellors and faculty are themselves so utterly dependent on NREN that they become quite helpless offline. A second major problem has been the growth of unlicensed encryption, which has proven quite unstoppable. Today, some 75 percent of NREN archives is material that no one in authority can read. Countries that attempted to control and monitor network traffic have lost market share and service revenue as data processing simply moves offshore. The United States has profited by this phenomenon to a great extent as people worldwide have flocked to the relative liberty of our networks. Unfortunately, many of these electronic virtual immigrants are not simply dissidents looking for free expression, but in fact are organized criminals. 80 percent graphic image files of attractive young women without veils or, in fact, much clothing of any kind. 15 percent digitally stored pirated copies of Western pop music and Western videos, still illegal to possess in Tehran. And, 5 percent text files in the Farsi language describing how to build, deliver, and park truck-bombs in major urban areas. The testimony finished up with some particularly techno-utopian predictions about “stateless people” that feel like they’re still a ways from becoming the norm. “Giving up on a physical home,” hasn’t yet become mainstream, unless of course you count Brent Rose. I can’t conclude my brief remarks today without a mention of a particularly odd development related to wireless computer telecommunications. Because it is now possible to carry out transactions entirely in cyberspace (including financial transactions), many information entrepreneurs in 2015 have simply given up any physical home. Basically, they have become stateless people, 21st-century gypsies. A recent tragic example of this occurred in the small town of North Zulch, Texas. There, some rural law enforcement officers apprehended a scruffy vagabond on a motorcycle after a high-speed chase. Unfortunately he was killed. A search of his backpack revealed a device the size of a cigarette pack. The police officers, who were not computer literate, accidentally broke the device. This tiny device was actually a privately owned computer bulletin board system with some 15,000 registered users. Many of the users were wealthy celebrities, and the apparent outlaw biker was actually an extremely popular and nationally known system operator. These 15,000 users were enraged by what they considered the wanton destruction of their electronic community. They pooled their resources and took a terrible vengeance on the small town of North Zulch, which, by contrast, had only 2,000 residents, none of them wealthy or technologically sophisticated. Through a combination of harassing lawsuits and sharp real- estate deals, the vengeful board users bankrupted the town. Eventually the entire township was bulldozed flat and purchased for park land by the Nature Conservancy. Thanks in part to the advances that you yourselves set in motion, violent conflicts between virtual and actual communities have become a permanent feature of the cultural landscape in 2015. Sterling finished up by getting out of character and saying that he’d be happy to answer any follow-ups as himself. Unfortunately, a transcript of those questions doesn’t appear to be anywhere online. What do you think of Sterling’s look into the world of 2015? Was he mostly right or mostly wrong? And perhaps more importantly, ask yourself what your own interpretation of his “accuracy” says about the way you see the internet in 2015.